* twixt: shortened version of betwixt, which means in between, neither the one not the other. The social anthropologist Victor Turner used the phrase betwixt and between in order to characterize the intermediate out of three stages of the rite of passage as ultimate transitional, subversive and creative moment of societies’ lifetime. TWIXTlab is situated between and betwixt contemporary art, anthropology and social reality. ΤWIXTLab was founded in 2014 and adopts the form of a laboratory in order to propose or to support interventions in everyday life. ΤWIXTLab proposes art and research projects, seminars, workshops, screenings, presentations, discussions etc.. TWIXTlab’s activities address anyone wishing to participate without any prerequisites on background knowledge of contemporary art and/or anthropology. 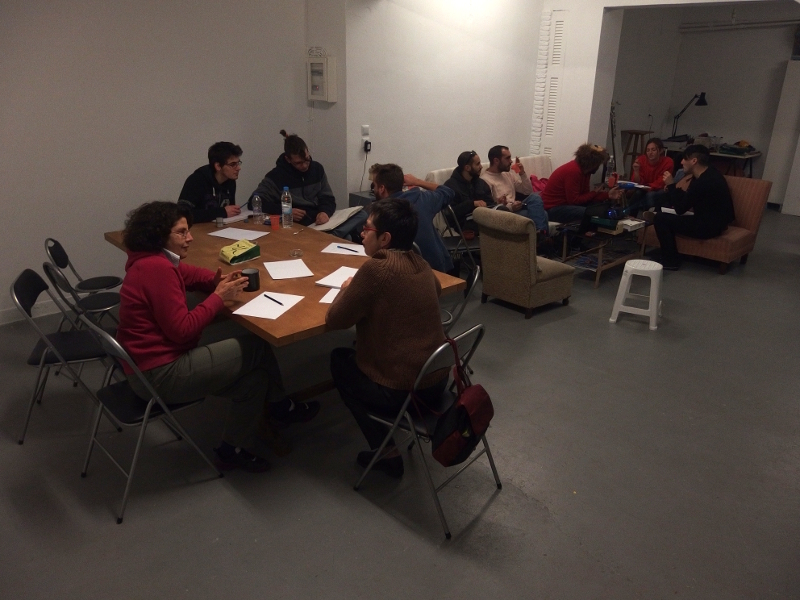 TWIXTlab was initiated on February 2014 at Koukaki, Athens, based on an idea by Elpida Rikou. 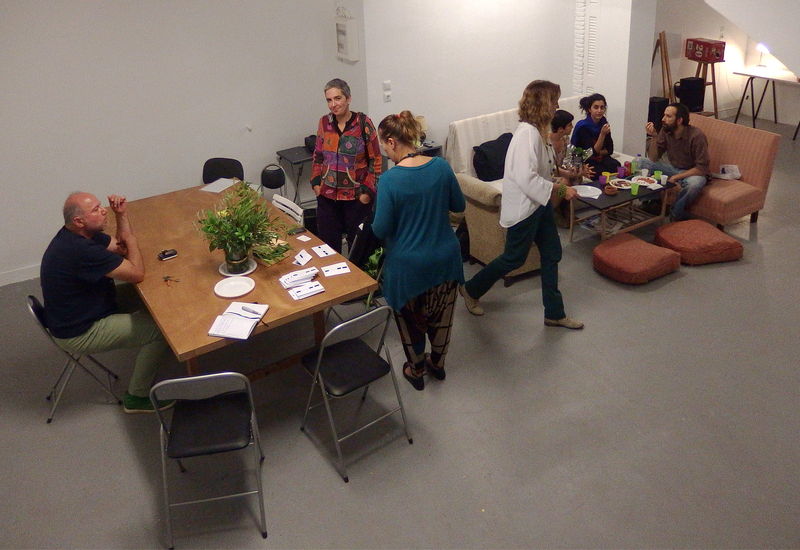 From September 2014 onwords TWIXTlab is based in Pangrati, Athens, and since June 2015 it is a non-profit civil partnership. Founding members: Elpida Rikou (PhD, anthropology, visual arts), Sofia Grigoriadou (MFA, visual arts, litterature) and Io Chaviara (MFA, visual arts, graphic design), who left the project in October 2016. Since then, artists Eva Giannakopoulou (MA), Dimitra Kondylatou (MA), art historian Katerina Konstantinou (MA) and anthropologist and sound designer Giorgos Samantas (MA) joined the team. Today, it consists of: Eva Giannakopoulou, Sofia Grigoriadou, Dimitra Kondylatou, Elpida Rikou and Giorgos Samantas.